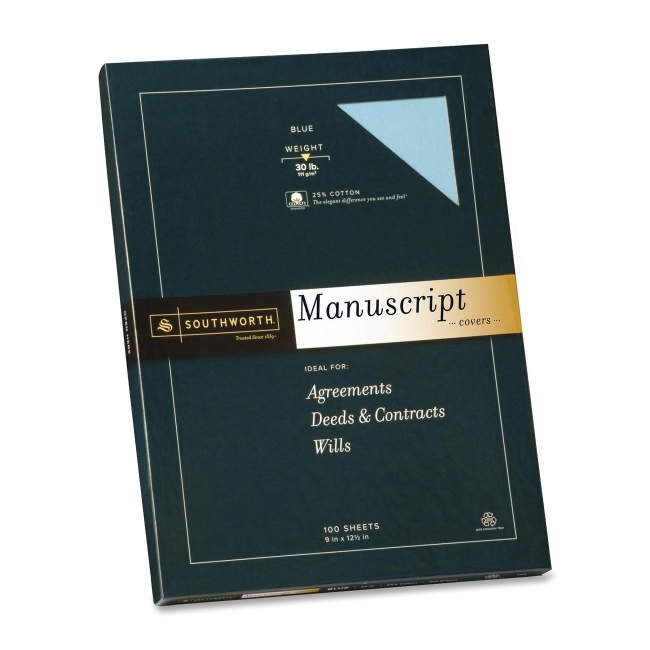 Southworth Fine Manuscript Cover - Blue 100 / Box - 12.5" x 9"
Sheet Size : 12.50" x 9"
Manuscript covers protect documents and enhance their appearance to create a favorable impression. 25 percent cotton fiber provides heavyweight protection. Tops are scored and corners are clipped for folding and binding. 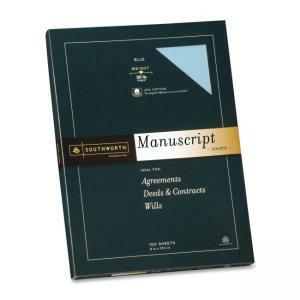 Each acid-free manuscript cover contains 75 percent recycled material and 50 percent post-consumer material. 30 lb. Sheet Size: 12.50" x 9"